I am in Grade 1. 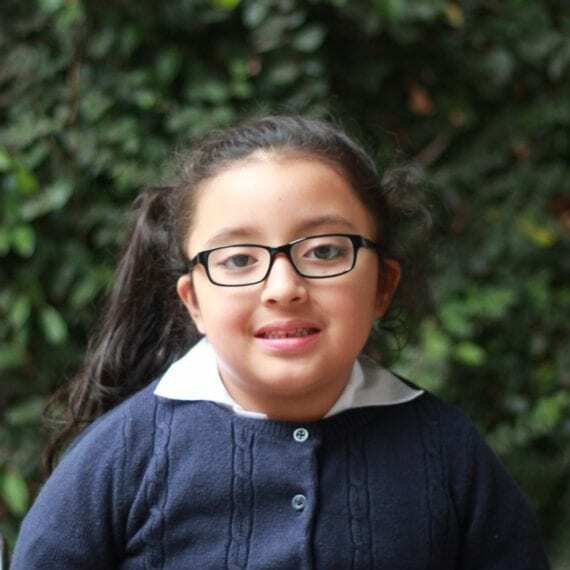 Dayeli's favourite colour is pink, her favourite food is pasta and her favourite class is English! When Dayeli grows up she wants to be a secretary. …children. In addition to excellent classes with high-quality curriculum, we provide extra assistance outside of class and additional tutoring to help students succeed. …parents. We meet monthly with parents to partner in their children’s academic and social success, sharing with them a vision of Christ-centered parenting. …development. We are training our students to be independent, community-minded leaders who are equipped with the intellectual skills and spiritual training to be influencers in the workplaces and ambassadors for the kingdom of God. Your combined financial support of the ministry and your prayer commitment to your sponsor child partners with the big dreams that our staff have for our students – dreams that our kids will become passionate, Christ-followers who will influence Guatemala’s future. For more information about how our sponsorships work, you can read the FAQ on our For Our Sponsors page.